2017 - Read. Think. Act. 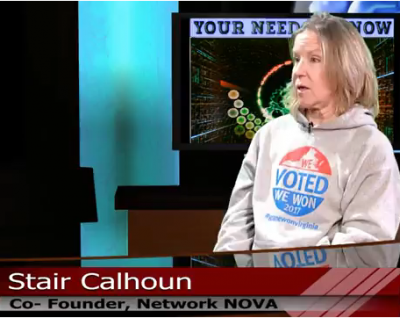 (Dec. 27, 2017) Catherine Read interviews Lori Hass, State Director for the Coalition to Prevent Gun Violence (CPGV), and Julie Keller from the Northern Virginia Chapter of the Brady Campaign to End Gun Violence to talk about gun violence prevention and what we might expect to see with the upcoming Virginia General Assembly legislative session. 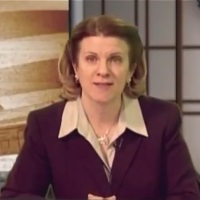 In the first segment Catherine speaks with Lori Haas, whose daughter was shot twice and survived the Virginia Tech massacre back in 2007. She has been the acting Virginia State Director of the CPGV, and regularly lobbies both on Capitol Hill and in Richmond to promote responsible gun laws. Her goal is to promote good offensive bills that will mitigate and reduce gun violence. She took a few minutes to explain how guns bills are dealt with in Richmond. In the House of Delegates, the Speaker of the House has the liberty to assign bills to committees. All of the gun legislation goes straight to the Militia, Police and Public Safety Committee. Specifically it heads to Subcommittee 1, which up until this year was comprised of 4 white men from rural Virginia. These men vote NO on every single bill, meaning that the bill doesn’t even make it out of subcommittee to the full committee for debate, let alone to the House floor for a vote. There are similar challenges getting bills out of committee in the Senate. This is why getting even the modest of gun violence prevention measures has stalled in the state legislature. Poll after poll has shown that the majority of the public is clamoring for reasonable laws regarding gun control. The most recent Qunnipiac poll shows that universal background checks are favored by over 90% of the public, and most people do not want guns to get into the hands of dangerous people, like criminals, domestic abusers and those who are deemed mentally unfit. Haas indicates that there would likely be in the neighborhood of 120 gun bills this session. She recommends keeping track of the progress of the bills on their website, and reaching out to legislators via phone, social media and email to voice your opinions. Additionally, she welcomes all to Richmond on MLK Day to take part in the Gun Violence Prevention rally on the Capitol Grounds, which is always the largest gathering of citizens during the legislative session. 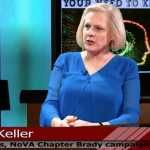 In the second segment, Catherine interviews Julie Keller from the Northern Virginia Chapter of the Brady Campaign to End Gun Violence. She also notes while 90%+ of Americans favor comprehensive background checks and 68% favor a ban on assault weapons, it has been very challenging to combat the strong messaging of the NRA. It has been shown that gun sales increase after a mass shooting occurs, as the old line of “more guns will make you safer” appeals to many Americans. Many believe that the NRA works for the gun manufacturers and produces messaging specifically designed to increase gun sales. Efforts made by the Gun Violence Prevention groups to mitigate gun deaths has been foiled by the NRA and Republican controlled legislatures on Capitol Hill and in many state legislatures nationwide. SMART gun technology, which requires a fingerprint to unlock the trigger, exits today and could have a great impact and save lives. A ban on bump stocks, a device used by the Las Vegas killer to turn a rifle into an automatic firing machine, did not receive any support in Congress. Barring domestic abusers from obtaining guns could save lives as it’s been shown that women are 5 times more likely to be killed if her partner owns a gun. There are currently 35 states that do not have prohibitions on those convicted of misdemeanor domestic violence from buying or using guns. Virginia is one of those states. Gun laws vary by state, which can minimize impact across state lines. Keller uses the example of Virginia, where it’s much easier to buy a gun than in DC, Maryland, New Jersey and New York. 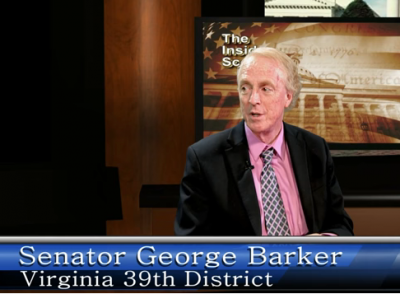 Virginia then becomes the “Iron Pipeline” for guns up and down the northeast corridor. These guns are not tracked and there is no waiting period for purchase, so we have no idea where they wind up and in whose hands they reside. Advocates for stronger gun control favor tightening up the background check system, in addition to closing the “gun show” or private sales loophole. This loophole anyone to sell their gun to their neighbor, with no tracking, background check, or questions asked. We have a lot of work to do here in Virginia and nationwide. If you want stronger laws in place you must reach out to your representatives and demand change. 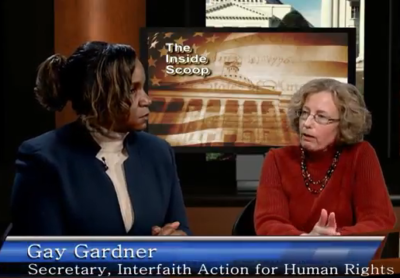 (Dec. 25, 2017) Catherine Read speaks with John Horejsi, Executive Director of Social Action Linking Together (SALT) and Gay Gardner and Kimberly Jenkins Snodgrass of the Interfaith Action for Human Rights (IAHR) to talk about their legislative initiatives for the upcoming year. Catherine inspires her audience to “Go Out and Do Good” during this holiday season by supporting the organizations that work to improve the conditions of those who are marginalized in our society. 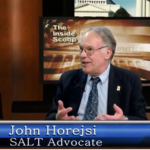 In the first segment, Catherine speaks with John Horejsi to talk about SALT’s history and upcoming legislative issues. 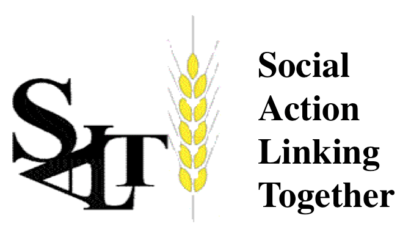 SALT was founded in 1983 after faith groups came together to solve problems in Virginia regarding food stamps. 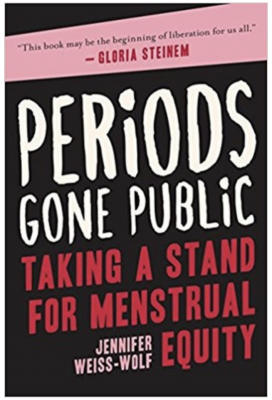 It took their coalition 3 years to get their issue addressed and resolved, and in the process learned a lot about how to effectively lobby and bring together lawmakers to solve some of the systemic problems in our society. Their work focuses on the most marginalized citizens, who often have no voice in the area of public policy debate. SALT is a multi-faith effort, bringing together Christian, Jewish and Muslim groups who want to work toward change. Horejsi shares that SALT will often pick two or three issues to focus on in at any given time. They work hard to fully understand all aspects of any issue, and often compromise and bring people together to find optimal solutions. The organization provides fall and spring trainings to faith groups who want to organize and work in their coalition. For 2018, SALT is focusing on three main legislative issues. The first issue focuses on prison visitation. With the wide availability of video conferencing, prisons wanted to cut in-person visits. Horejsi notes that in person family visitation has been shown to dramatically cut the recidivism rate. 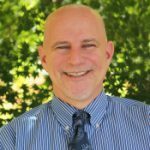 In-person visits help connect prisoners to family in a much more effective way, so SALT is advocating for the Department of Corrections to not cut the in person visitation, even if they increase the availability of video conferencing. The second issue that they are working on is the elimination of Lunch Shaming. This is the practice where schools send home notes with children, often in bright colored paper pinned to their jackets or backpacks, indicating that the child owes money for lunches. This creates a stigma and shames the child. SALT aims to end this practice and require that the school deal directly with the parents on these types of issues, instead of putting the children in the middle of solving the collection problem. The final issue that will be addressed this year is a Scholarship Pilot Program, where welfare funds from the TANF (Temporary Assistance for Needy Families) would be allocated to scholarships for college or technical schools, for students whose families qualify. This gives students from poor families, who otherwise might not have the opportunity to seek higher education, an incentive to do well in high school so they could earn a scholarship. This is a way to help lift students up and hopefully break the cycle of poverty in their family. 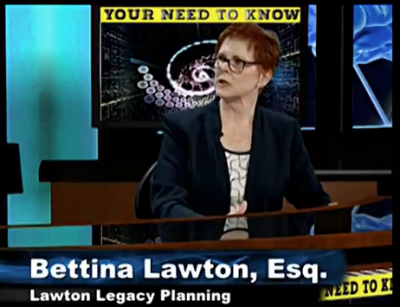 In the second half of the show, Catherine speaks with Gay Gardner and Kimberly Jenkins-Snodgrass of the Interfaith Action for Human Rights. Their organization focuses on ending prolonged isolation (solitary confinement) in our prison system. They consider solitary confinement and prolonged isolation as torture, as the practice is often over-used or misused in the prison setting. The practice can be emotionally crippling, and can make re-entry to society that much harder. Through their work they found that many inmates wind up with prison sentences that are much more harsh than what they were assigned in the court system. When inmates are assigned to solitary confinement or moved to different facilities, it can often lengthen their prison sentence, but it is not always very clear why these punishments are given. The commonwealth of Virginia ranks 13th in the country for use of solitary confinement, so Gardner and Jenkins-Snodgrass would like to see the practice used less frequently. They have also found that the system is not very transparent, so if an advocate is looking for information about a certain case it is often very hard to understand what is happening and why these punishments are being issued. They are working hard to improve this process. IAHR has formed a coalition with SALT, ACLU (American Civil Liberties Union of Virginia), Virginia Council of Churches, Virginia Cure and NAMI (National Association of Mental Illness – VA Chapter) to address these issues. As their coalition continues to assess the landscape with the new makeup in the House of Delegates, they plan on identifying partners who can work together with them to push forward more progressive policies in relation to use of prolonged isolation in the prison system. Their goals also include improving transparency and helping inmates successfully re-enter society after paying their dues for the crimes that they committed. 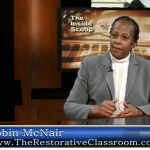 (Dec. 18, 2017) Catherine Read speaks with Robin McNair, Educator and Restorative Practices Practitioner. Robin teaches 9th grade history at Dr. Henry A. Wise Jr. High School in Upper Marlboro, Maryland. 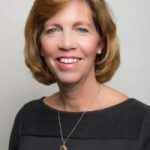 She has been trained in the use of restorative practices in schools, which is a framework for building community and responding to challenging behavior through authentic dialogue, coming to understanding, and making things right. 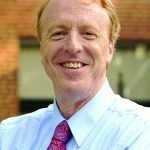 The use of restorative practices in schools was born from the idea of restorative thinking, which is a shift away from punishment-oriented approach to discipline. People, including students, who are invited into restorative dialogue are sometimes confused by the concept of “making things right”. Their default response to the question “What can we do to make things right?” often has to do with punishment. It is said that children live what they learn. When what they have learned is that troublesome behavior demands a punishment-oriented response, then that is how they will live. Restorative practices invite different ways of responding. Restorative Justice, as used in the criminal justice environment, brings persons harmed by crime and the person who harmed them, along with affected family and community members, together in dialogue that aims to build understanding, explore how the crime has impacted those involved, and collectively develop agreements for what will be done to make things right. These dialogues take place with participants sitting in a circle, so they are sometimes called circle dialogues. In a school setting, restorative practices cultivate a culture in which everyone feels like they belong. They build a particular sense of community in which every member – students, teacher, parent volunteers, aids feel like they are seen, heard and respected. McNair shares that school discipline has for the most part taken its cue from the criminal justice system. The focus is on the punishing wrongdoers with the aim of enforcing behaviors that are safe and non-disruptive. When punishment does not work, misbehaving students may be excluded through suspension or expulsion, with the possibly serious long-term harmful consequences to them and to society. There is little or no opportunity for social an emotional learning. McNair notes that minority students are disproportionately affected by these harmful practices. As outlined in Nancy Reistenberg’s book Circle in the Square, the use of circle dialogue in the classroom gives each student the opportunity to be heard. High quality prompts are questions that give the circle its energy and focus. The circle keeper invites everyone in the circle to participate and respond to the prompts. This both builds trust and encourages the class to work together to identify and solve problems that interfere with learning. While the teacher is still in charge, there is a shift to shared responsibility for behavior management. Solving problems and coming up with solutions becomes more of a team effort. This approach encourages a dialogue where understanding is reached and there is opportunity for creating mutually acceptable agreements about how to make things right. There is a growing body of research supporting the effectiveness of restorative practices in schools. Evidence shows that restorative practices can result in reductions of suspensions and expulsions, less instructional time lost to managing student behavior challenges, and fewer disciplinary referrals to principals, especially for minority students. The use of restorative practices can also increase teacher morale and teacher retention, along with improved academic outcomes. Ms. McNair shared that the book Restorative Justice in Education (a Little Book Series) is a wonderful resource for educators who are interseted in getting started with learning about restorative practices. 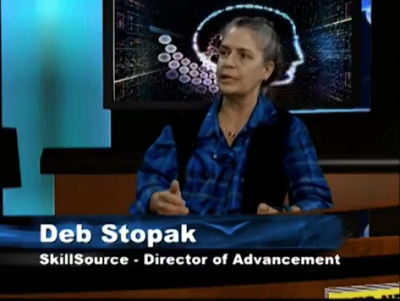 (Nov 22, 2017) Catherine Read talks with Deb Stopak, Director of Advancement for SkillSource. Established in 2003, SkillSource is the non-profit fiscal agent for the Northern Virginia Workforce Development Board (NVWDB.) 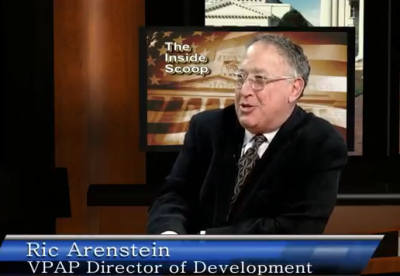 There are 15 Workforce Development areas in Virginia, and SkillSource serves Area 11 which covers Fairfax County, Prince William County, Loudoun County and the cities of Falls Church, Fairfax, Manassas and Manassas Park. There are currently six SkillSource One-Stop Employment Centers in Annandale, Alexandria, Reston, Leesburg, Woodbridge and on the Manassas Campus of Northern Virginia Community College. SkillSource provides services to both employers and job seekers completely free of charge. They have worked with tens of thousands of employers since opening their doors, providing services to more than a million job seekers. In FY 2017, SkillSource served 55,000 job seekers in Northern Virginia. In 1988, Congress passed the Workforce Innovation and Opportunity Act (WIOA), a Federal job training program sponsored by the Department of Labor. Through a network of One Stop Centers, WIOA offers employers and job seekers, universal access to free employment and training services. Private foundations also provide funds that support the centers. The team approach includes both job developers and case managers. Additionally, SkillSource works closely with the Department of Family Services in Fairfax, Loudoun and Prince William Counties to provide other services that are often needed when people are without a job: housing, transportation, childcare and treatment programs. Within the larger geographic community, SkillSource supports micro-populations of job seekers that often have difficulty finding employment. They include out-of-school youth aged 17 to 24 without post secondary education, low-income adults without advanced education, adults with disabilities, ex-offenders, recent immigrants, refugees, veterans and dislocated workers. Some of those dislocated workers are government contract employees who have been impacted by sequestration. They are highly skilled and educated but have trouble finding appropriate new positions. Among ex-felons, SkillSource has an impressive track record of only a 4% recidivism rate – compared with 28-35% in Virginia as a whole, and 45% or greater nationally. The model SkillSource is using is the identification of skills that specific employers need and the development of training programs that provide job seekers with those particular skills. The goal is to provide short term training programs that create skilled workers who can earn a living wage of $15 per hour or more. They also provide “soft skill” training to include things like good communication skills and understanding workplace cultures. While they work collaboratively with the Community College system, the short term goal is not a degree, but a demonstrable skill that may or may not include a formal certification. One of the programs SkillSource offers is an “On The Job Training Program” which provides training and support to a job seeker who is a potential hire for an employer. That program provides subsidized wages to offset the employer’s cost and the result is most often an offer of a permanent placement. It’s a “shared risk” model that creates more opportunities for job seekers to learn skills specific to an employer without the employer bearing the entire financial burden.